Delight your guests this holiday season with a colorful presentation of food on handmade dinnerware sets. Each item - entree plate, salad plate, and bowl - is handcrafted on the potters wheel by ceramic artist, Jennifer Lachtara, and then decorated with hand-cut stencils before food-safe underglazes are applied to the surface. 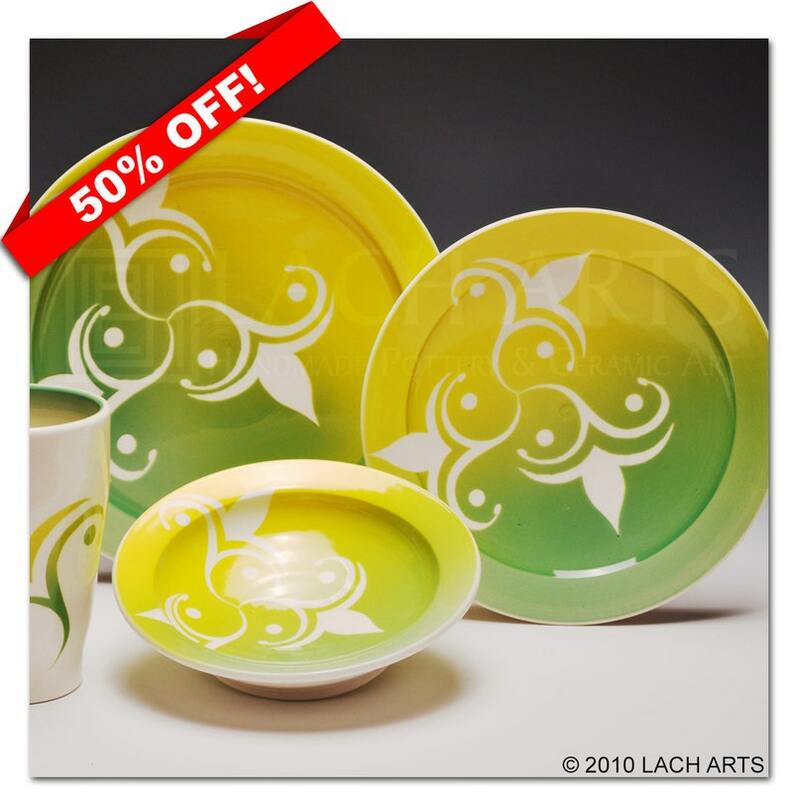 Each piece is finished with a durable, food-safe clear glaze. A full place setting includes entree plate, salad plate, and bowl. Cups and chalices are sold separately. Items can be purchased separately or as sets. To purchase items separately, please convo us so we can set up a listing for your purchase.